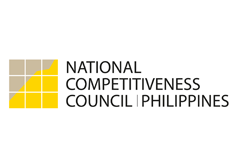 MANILA, Philippines – The Philippines has the most improved anti-corruption campaign among 16 countries surveyed by Hong Kong-based think tank Political and Economic Risk Consultancy Ltd (PERC). In PERC’s 2016 Report on Corruption, the Philippines got 7.05 points this year – up from 7.43 points last year. This improved the ranking of the country to 10th place this year from 12th place in 2014. The annual survey covers 14 countries in Asia, plus the United States and Australia. They were scored within a range of 0 (the best score) to 10 (the worst score) with the question, "How do you grade the problem of corruption in the country in which you are working?" "The Philippines was the only country we surveyed where there was an improvement of more than 5% [in the score]. This is an example of how leadership really can make a difference," PERC said in the Asian Intelligence report. PERC credited the Aquino administration in the improved anti-corruption campaign drive in the country. "President Benigno Aquino has personally maintained an image for being 'clean' and for trying to reduce the problem. Consequently, as his term of office nears an end and a new election campaign gets underway, aspiring candidates are not accusing him of corrupt behavior the way candidates attacked the two previous sitting presidents in order to gain voter support," the report said. PERC added that "those trying to succeed [Aquino] have adopted a tone that they will either carry on with his policies or do an even better job." Finance Secretary Cesar Purisima also cited the current administration for this achievement. “Over the past 6 years, we have registered marked improvements across every significant indicator and international ranking. It’s clear as day: President Aquino’s good governance agenda has driven up this virtuous cycle,” he said in an interview. The country beat neighboring countries like China, Cambodia, Thailand, Vietnam, Indonesia, and India. “Countries with worse grades than the Philippines have lacked the top-level leadership that was able to convince the public of their own commitment to high ethical standards, let alone their determination to fix deep, systemic problems with corruption,” said the report. Meanwhile, rich nations like South Korea, US, Hong Kong, Japan, Australia, and Singapore ranked high in the survey.